Dynaudio appoints new chief technology officer | What Hi-Fi? 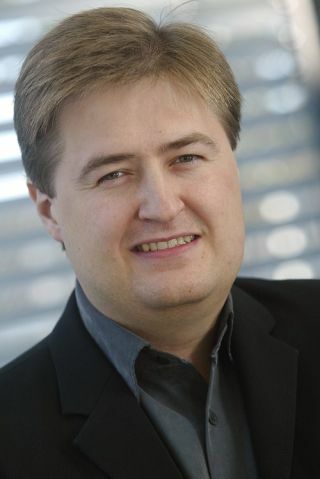 Danish audio manufacturer Dynaudio has announced the appointment of Jan Abildgaard Pedersen as its new chief technology officer. In taking up his new position with Dynaudio, Pedersen has left his role as senior manager, specialist in digital signal processing (DSP) and acoustic technology at Bang and Olufsen. Pedersen's career has seen him involved with the development of ICEpower Class D amplifiers and the ABC room correction system as found in B&O's Beolab 5 loudspeaker. He has also worked with Lyngdorf Audio/Steinway Lynfdorf and AM3D, as well as sitting on a range of boards and holding membership of the Audio Engineering Society. “It is vital to have deep knowledge in both Acoustics and in DSP to develop true breakthroughs in audio quality," said Pedersen. "On the one hand, you need to fully understand the acoustic challenges on the way toward perfect sound quality and, on the other, you need to fully understand the potential and possibilities of DSP."